Our mission is to provide children and adults with disabilities the opportunity to experience all the physical, social, and emotional benefits of riding on and spending time with a horse. The rhythmic side-to-side, forward, and backward movement of the horse mimics the human gait, moving a rider's pelvis and torso in the same motion as walking. This stimulation gently relaxes taught muscles and improves core strength, balance, and coordination. Learning new routines, sequencing, and accessing short-term memory skills assist individuals who otherwise may experience difficulty with these tasks. 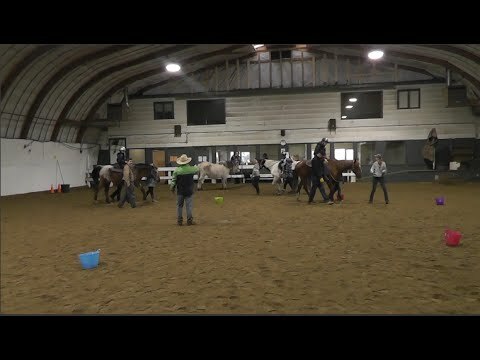 The real success of therapeutic riding comes from most riders being highly motivated to learn new skills, simply because they genuinely enjoy riding! Our program has instructors who are equine and/or therapeutic training. We service Calgary and the surrounding area.